Space Enigma Studios tells us about their vision for this ambitious space sim. It’s not every day you come across real cosmonauts trying to make a space game, but that’s exactly what Space Enigma Studios is trying to do with Space Pioneer. While most space simulations have us flitting about the galaxy, annexing planets and battling inter-galactic pirates, Space Pioneer is more about exploring the nearby celestial bodies and establishing a sustainable life. It’s quite simple in concept, sure, but deceptively complex in its treatment – and make no mistake, there’s a healthy amount of war happening as well. GamingBolt spoke to Space Enigma Studios founder and director Maximillian Kovtun along with cosmonaut and creative director Aleksandr Lazutkin about Space Pioneer. 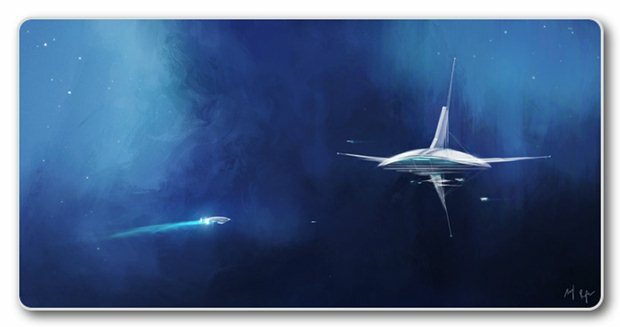 What will the space ship be like and how does exploration work in the game? How does it fare next to other space sims, especially with games like Star Citizen on the horizon? Most importantly, can we wipe out all life in the space station? Find out below. Rashid Sayed: Where did the idea for Space Pioneer origin from? Maximillian Kovtun: Each member of our team has a vision for what they want to see in a space sim. I’ve personally played many games that are set in space and yet none of them accomplished what I wanted to see from a space sim. And our team is of the same opinion. This shared vision is what united us into one studio and it’s how Space Pioneer came into existence. Rashid Sayed: Tell us a bit about how players can upgrade and customize their space ship? Maximillian Kovtun: The most distinguishing feature of our game is the player’s ability to switch between a third person spaceraft view and a grand RTS viewpoint at will. The ship that you control is something that we dub as the ‘‘command ship“ and it’s something that progresses from a small cruiser (imagine the Normandy SR-1 from Mass Effect) to a dreadnought that becomes the center of your empire/democracy. Every aspect of the ship is upgradable and customizable; the closest analog that I’ve come across would be Spore’s ship customization, but on a much larger scale. "Regardless of what happens with our Kickstarter, we will continue development on Space Pioneer and are hopeful that people will support us through paypal. We’re making an awesome gameplay trailer that should be out in a month and if our Kickstarter doesn’t succeed, then we will relaunch Space Pioneer with said trailer." Rashid Sayed: Do you feel like Space Pioneer will be a direct competitor for Star Citizen? Maximillian Kovtun: I think that Star Citizen is going to turn out great and I hope that it plays as good as it looks. There are similarities between our games but I don’t think that we are directly competing against each other. It’s always a good thing to have more games about space and I think that players will appreciate and play both Space Pioneer and Star Citizen. Rashid Sayed: With so many scientists, researchers and astronauts on your team, it seems that you have a really good knowledge as opposed to other space sim developers. How do you exactly plan on taking advantage of this? Maximillian Kovtun: Yes, but some people are saying that this is actually a negative instead of a positive! Even though all of our cosmonauts have developed space sims in the past for Roscosmos (it’s why we chose them to be a part of our team), our technical side includes people that are very experienced in the video game industry (some of us worked for crytek in the past) and even though our writers are well known for their sci-fi books – people are still doubting our ability to make Space Pioneer! I am happy that people are concerned – it shows that we are going in the right direction and only reinforces the fact that Space Pioneer is going to be a game that is utterly unique to the video game industry. Moving on though; our team’s background in science and astronautics allows us to impliment gameplay features that other developers cant. We can confidently include scientific concepts and theories in a way that greatly deepens and enriches Space Pioneer’s gameplay. Rashid Sayed: If everything goes well for Space Pioneer in terms of funding and development, what will you be your target for a release date? Maximillian Kovtun: We probably aren’t going to reach our funding goal on Kickstarter, but you can support us via PayPal and you’ll also receive a signed photo from Aleksandr Lazutkin, who is a former cosmonaut that survived numerous catastrophies during his stay on Mir. He’s the closest that we’ve gotten in real life to what the film Gravity portrays. It doesn’t matter how much you contribute – you’ll still get a signed photo from him. Regardless of what happens with our Kickstarter, we will continue development on Space Pioneer and are hopeful that people will support us through paypal. We’re making an awesome gameplay trailer that should be out in a month and if our Kickstarter doesn’t succeed, then we will relaunch Space Pioneer with said trailer. So development wise, our plans are not changing and the game is progressing as planned, but we are nonetheless extremely apreciative of any contribution that you make through paypal. We are targeting the end of 2015 as the release date for the game itself. "When a war breaks out in our game, it is intergalactic in every sense. It can become a huge battle for control of our universe, and it’s something that extends to multiplayer as well." Rashid Sayed: You mentioned numerous times that you want to include alien life in Space Pioneer. Will we be able to come in physical contact with these creatures in some shape or form during gameplay? Rashid Sayed: Where is the game at now in terms of development? Maximillian Kovtun: We are in late pre-production. We’ve started working on the game itself, the script is all planned out and the art direction has been finalized. Our goal right now is to show people footage of how awesome our game is going to be! Rashid Sayed: How will inter-galatic wars work in the game? Is it possible to wipe-out a space station and its inhabitants completely? Maximillian Kovtun: It’s even possible to wipe out or sieze control of whole planets/colonies! When a war breaks out in our game, it is intergalactic in every sense. It can become a huge battle for control of our universe, and it’s something that extends to multiplayer as well. Ultimately the victor is the one who plans out his battles intelligently and uses his squadrons of fighters, cruisers and ground units to succesfully deter and advance on the enemy. "I don’t think that it’s possible yet to fully recreate what I have experienced in space. You have to look with your own eyes to see the beauty of our planet." Rashid Sayed: How are you making sure that an effective story is told in the single player campaign? Maximillian Kovtun: Our team of writers are renowned for telling captivating stories set in the realms of science fiction. But what really makes us stand out is that we have many concepts and ideas from Arthur C. Clarke[2001: a Space Odyssey is arguably his most recognizable work] himself that we are incorporating into Space Pioneer’s mythos. This is thanks to Yuri Artsutanov who discussed, via written mail, many ideas and scenarios with Arthur Clarke. Yuri’s influence on Arthur Clarke can most clearly be seen in the seminal book, ‘‘The Fountains of Paradise‘‘. The reason being that Yuri Artsutanov is mostly known for being the creator of the modern version of the space lift. Rashid Sayed: As an astronaut, how will your experience be used in developing this game? Aleksandr Lazutkin: Setting aside the fact that I was in space before, I have been developing space simulators for roscosmos for a long time and that experience will be very benificial towards the development of Space Pioneer. As the creative director, I also steer the game in the direction that I want to see, and make sure that it’s fun to play! Rashid Sayed: As someone who has seen from the world from some distance, how difficult it is to recreate that in a video game? Aleksandr Lazutkin: I don’t think that it’s possible yet to fully recreate what I have experienced in space. You have to look with your own eyes to see the beauty of our planet. It’s incredibly surreal to see the planet that I have been on for all of my life on one side, and see the seemingly infinite expanse that is our cosmos on the other. It is a very jarring and humbling juxtaposition. Rashid Sayed: In space there are several uncertainatines. How do you plan to simulate them accurately in Space Pioneer? Aleksandr Lazutkin: Our universe is the ultimate uncertainty, and our ultimate goal with Space Pioneer is to inspire a new generation of people to conquer and explore that uncertainty. You can contribute to the game’s development through their Kickstarter page here or directly through their official site here.